Welcome to Woodbridge Golf Club Pro Shop. NEW Pro shop Website & Online Store including 'Click & Collect'. We take great pride in our customer service and friendly atmosphere. Raise your game with the latest kit from some of the sport’s biggest brands including, Callaway, Ping, Nike, Titleist & Cleveland. For the ultimate advantage on the fairways, why not treat yourself to state-of-the-art, made-to-measure clubs with PGA Head Professional James Peasey. As well as the latest hardware, we stock a full range of men and women’s wear. Browse collections from Footjoy, Nike, Galvin Green, Ecco, Greg Norman and Glenbrae – plus our own range of high-quality Woodbridge branded items. All three of our PGA Professionals are PING Authorised club fitters. All of our staff are trained in repairs, re-gripping, and will endeavour to solve any problems or queries you may have. You will find the Professional Shop standing proudly next to the main clubhouse. NEW FOR 2016 - Brand new Performance studio with Trackman 4. Book the ultimate coaching or custom fitting experience now, our state of the art undercover/indoor studio provides the best coaching experience in Suffolk. For more information or to book click below. We are a member of Foremost, Europe's largest buying Group. Just because we don't stock it, doesn't mean we can't get it! With access to all products from every manufacturer, Shop online or in store, competitive prices and best value guaranteed! Try Click & collect online now. 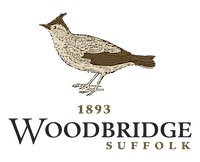 Visit our new website www.woodbridgegolfclubproshop.co.uk and shop with us, get the right equipment with our PGA Professional Advice. James has been PGA AA qualified since 2007, with thirteen years experience working at Woodbridge Golf Club. James specialises in short game and has further qualifications in biomechanics which he applies to his coaching process. James is able to fit clubs to your requirements from the three main brands we carry, Ping, Callaway and Nike. He will advise which is best suited for you. Patrick joined us in June 2014 after graduating from the University of Stirling with a BA in Sports Studies. Level 1 qualified coach and currently studying his 2nd year with the PGA. Patrick has represented England School Boys three times, England Boys in the Dutch Junior Masters, and Europe in the Palmer Cup vs the USA. Patrick has been Suffolk Amateur Champion 2010,2013; and Suffolk Open Champion 2010,2011, 2015 plus Suffolk PGA Champion 2015. Patrick can develop your knowledge of how to play and plot yourself around the golf course. Patrick is Woodbridge Golf Club's Junior Organiser, and runs the Junior Academy, these 6 week courses run throughout the year on saturday afternoons. Robert joined the Pro Shop team at the start of 2015 and turned Professional in September. He represented the County 1st team and became the No.1 ranked amateur in the county for the third time. Rob is a PING staff player and is a fully authorised Ping Fitting specialist.